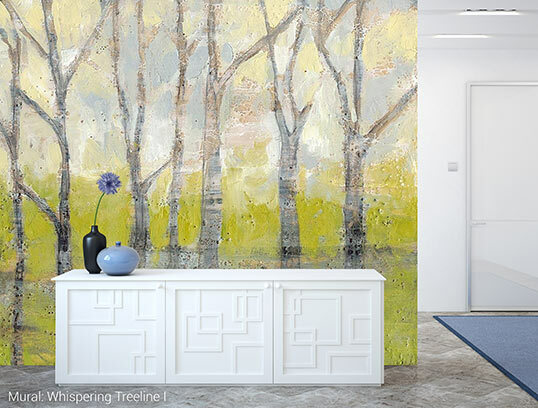 A big part of creating the perfect wall mural is choosing just the right material for your project. Selecting a compatible material for your wall surface is of the utmost importance and will guarantee maximum performance of your Magic Mural. That's why we've created Swatch Kits 1 & 2 below for you to see and feel all of the state-of-the-art materials that we offer! Click here to learn more about each of Our Materials. 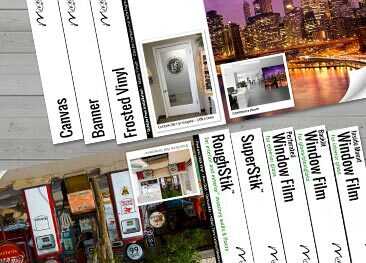 THE "ALL YOU NEED & MORE"
We offer the highest quality and the most installation-friendly mural materials of any company out there. We’ve taken it a step further by offering ten different options that you can order right now on our site including our new Gold and Silver Iridescent for smooth and lightly textured walls. Not sure which is right for you? No worries, we’ve assembled all ten materials for indoor wall applications into Swatch Kit ONE so you can get to know our materials like the back of your hand. 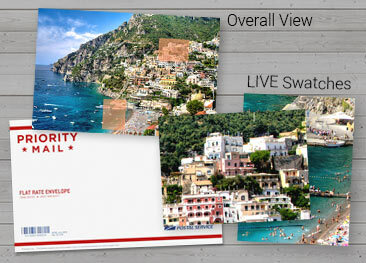 Kit ONE contains the following TEN - 5" x 8" pre-printed, superior quality wall mural material swatches. If you're like some of our customers, it's not always an interior wall on which you're trying to install a mural. Windows...concrete...exterior surfaces? We've got you covered with our Swatch Kit TWO. 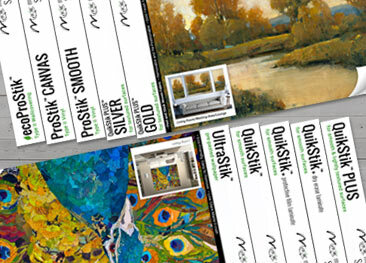 This kit will provide you with swatches of all our special order mural materials for a variety of applications. We're here to help you decide which works for you so order a kit and get started today! Contact us with any questions you may have about these specialty materials. Kit TWO contains the following EIGHT - 5" x 8" pre-printed, superior quality material swatches for additional surfaces. 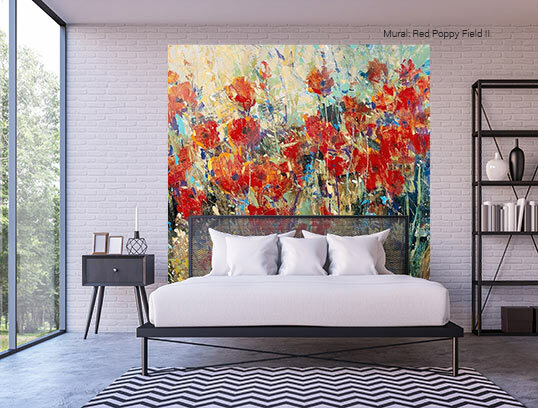 THE "JUST WANT TO BE SURE"
So you've found the perfect mural, you've put in your custom size and you think you've chosen the right material for your wall. 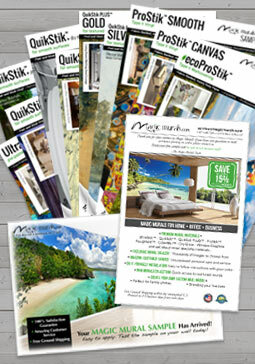 There's no need for guesswork with our complimentary pre-printed material swatch. Click Request Swatch and let us know which material you'd like to see up close and personal and we'll mail you a swatch out of the kindness of our hearts. *Ships First Class US Mail – allow up to 10 to 14 days for delivery. Sometimes you need a little more than pre-printed swatches to sell your client on that special project or make up your own mind. 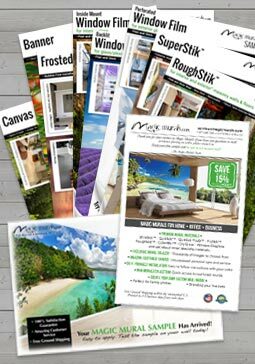 Custom swatches of your specific mural selection printed on the material of your choice will let you see the colors and resolution/print quality of your image at its final size. Simply call us or click Contact Us to get your project started! 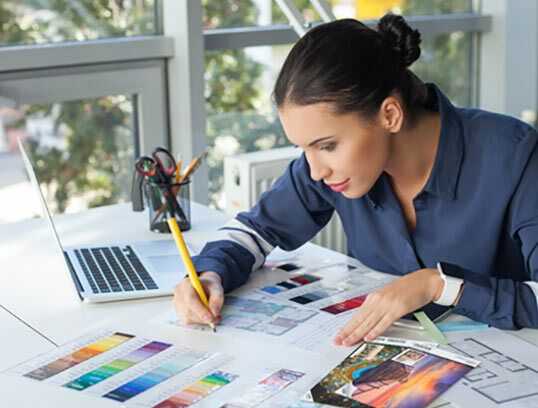 Tell us about the size of your mural (an accurate final print size is required to process the most accurate Custom swatch), the image you're interested in and what material you'd like your custom swatches printed on, then we'll do the rest. Please include any other details you may have such as color matching, custom cropping, etc. We will contact you to confirm the request and process the payment prior to producing your Custom swatch. All complimentary swatches are pre-printed swatches. Please complete the form below, indicating which material swatch you are needing. Complimentary swatches are available to US residents only, international requests are available via email and will require a postage fee. Swatches will be delivered by US Mail. Please allow 2 weeks for delivery.